A Tennessee Walker and racking horse, Lady is 20 years old. She is so smart and in amazing shape. We adore her and, even though she is the smallest of the herd, her place with the herd reminds us of The Great Aunt. She is bossy but accepting and willing. She loves to lead but takes her place following gracefully. 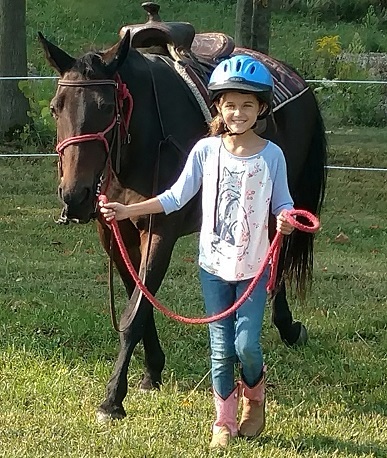 She is a lesson horse as well as a trail horse. We know anyone who rides Lady will fall in love with her!